One Day In Tenerife (ODITEN) was born at the end of 2012 product of an illusion wrought with the passage of time. Our purpose is to offer a service oriented to satisfy the expectations of the general public and international tourism in particular. 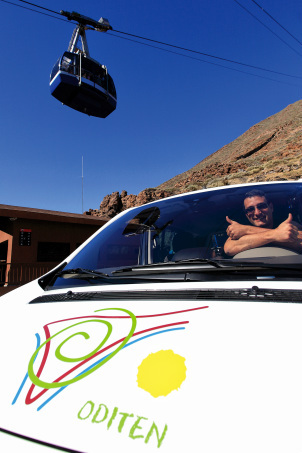 This tourist guide service aims to show the most emblematic places of the island of Tenerife, offering different tours and also allowing the customer to design booth the tour and the activities he wants to make, from photo safaris to adventure sports. The main resource that has Oditen is its staff, which offers the end user knowledge of its landscapes, trails, monuments and folk customs of the island, in several languages. Accompanied, in some of his proposals, by reference individuals and businesses on the island, which will make your enjoyment the most complete. The mission / purpose of ODITEN is that the customer take home an unforgettable experience of his journey through this earthly paradise.